I just wanted to let you know that the lights have been safely received and installed – and they look fantastic! Definitely worth the wait." Just to say a huge thank you to your two delivery men who brought my bookcases to Queensland Road yesterday. They went well beyond the call of duty in carrying the shelves up the stairs because the lift entrance was half an inch too low for the bookcases. Not a pleasant Saturday-morning job but I am enormously grateful to them for not giving up and for their generosity." "We took delivery of our dining table and benches today and just wanted to let you know how delighted we are. The furniture is beautiful - thank you. Best wishes"
"A genuine pleasure to deal with a proper company with the right attitude to business! I'll be sure to recommend you to all people who ask about our lovely table! " "Just a quick line to let you know your carpenter arrived and fixed the problem with the chair. I must admit to being impressed at the carpenter's efficiency and your organisation's prompt response to my "cry for help". Well Done you and many thanks, kind regards "
"Thank you, and thank you again for the service and communication so far - it is very impressive and refreshing compared with typical after sales service." "I have had two deliveries from you company, and it was a wounderful and painless experience. The delivery men where thoughtful of my home and careful with the items when the delivered. I have wooden floors and they made suggestion on how to take care of it and even ut on the protective sticker on for me.Thank you for the great service." "It couldn't have been any easier to buy from you. I needed a chest of drawers and it came first up on the search engine. I have just gone from there really, looked at every type of chest of drawers, but decided on the Pacific Walnut. A wonderful website, it makes you want to buy more. Easy to use and nicely presented. Many thanks." "I have just taken delivery of my new dining table from you which I absolutely love. This is the second major piece of furniture I've purchased from you and, once again, the service both in the store and from the delivery team, was exceptional. "I love my Pacific sideboard! I looked for the perfect sideboard or shelving for a long time before I found the Pacific sideboard. It's the best piece of furniture I've ever owned. It's lovely to look at and it stores a lot. Everyone admires it. It makes the room and creates just the effect I wanted, stylish but warm, elegant but practical. I love it." "Thank-you so much for your emails. I am very impressed with your after sales service!" "We came across the Chiswick showroom by chance whilst we were visiting Chiswick High Road for the first time. The quality of the product was immediately apparent and they had, on display, exactly what we wanted – a six draw low chest and three draw bedside, in oak. We spoke at some length with Jason who, thankfully, was not the typical salesman. He simply gave us facts – no pressure. We left to consider the matter further and returned in due course. The order was placed and, again, a leisurely stroll around the interesting and varied showrooms. Lots of ideas for the future! I was given the telephone number for the delivery company who were unbelievably efficient. Delivery was made the following Friday, exactly as we had hoped. Great care was taken in unpacking the furniture and placing it in the bedroom. The product was faultless and exactly what we wanted. We cannot speak highly enough of the service that we received throughout. Yours sincerely"
"Popped into your Chiswick showroom yesterday, essentially to garner and pilfer ideas for building my own furniture for my new flat rental (sadly no budget to purchase in your price range). I was greeted by lovely, helpful and informative staff (even when I expressed my intentions) and really enjoyed looking at the wonderful range of furniture you have. I also got some good ideas for building a wall-to-wall floor-to-ceiling bookcase." "Just wanted to say thanks for my lovely new chairs (Moods 21). They arrived safely last Saturday, and they look great in the kitchen. The turquoise fabric is perfect and they've already been critiqued and pronounced stylish as well as surprisingly comfortable. And compared to others on the market, I think they are cracking value. Love them. Thanks very much!" "Just writing to say thanks for getting this sorted. Your after sales service has been excellent and I will definitely purchase more furniture from you. "Quick note to advise that your carpenter contact arranged to come out last Saturday morning – he managed to repair both furniture items. Really please with the outcome, professionalism and customer service delivered." "I wanted to thank you so very much for allowing me to exchange my dining table (I was the numpty who bought a table far far too big for her dining area!). 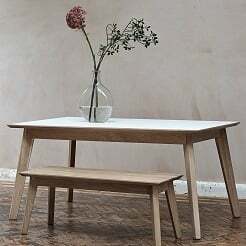 I am now very excited about my new table due to arrive in about 10 weeks and which will look stunning! It really was very good of you to do this as you had absolutely no obligation to do so, and your staff were incredibly efficient and helpful as well. Thank you again. Kind regards "
"Just wanted to thank all of you for your amazing service. I must have been in your shop half a dozen times trying to fathom what I needed before making up my mind.Every time, I received the most courteous and helpful advice with no hint of "Oh God she is here again!" Every single assistant gave me the most professional and informed information on all your products. Furthermore, my order (I did finally make up my mind!) arrived a week early, I was given a manageable slot of 10 a.m to 1p.m and even this arrived early and was delivered by two pleasant young men who could not have been more helpful. I certainly will recommend your shop to all my friends and will in future always look in your shop when I next need furniture. I am also very happy to own two beautiful pieces that will go on looking good for ever. Thank you to all of you and it is a pleasure to write to express contentment and satisfaction." "Excellent quality product and comfortable, solid chairs that encourage good posture. Knowledgable and helpful sales staff, serving with a smile! The product arrived earlier than the indicated order lead time. A good experience all round and I would definitely buy again and recommend to others." "I've been meaning to say how delight I am with the ash chest of drawers delivered several weeks ago. It is beautiful to look at and superb to use. Thanks to all. " "Even though there were initial anxieties as to whether it would be possible to get the bookcase into the apartment i wanted to say a big thank you to all of the staff. After the initial failed delivery, they were extremely responsive and courteous and sought to resolve the delivery as soon as possible. To this effect they arranged their own staff to delivery the item on a weekday at a time convenient to myself. They sent one of their carpentry experts and his colleague to carefully maneuver the item up my staircase. This was done with absolute care and professionalism. I was very pleased with the service and friendliness i received from these two gentleman. The bookcase now stands proudly in my apartment. The quality and workmanship is simply outstanding. I have no hesitancy in recommending you to anyone who wishes to purchase quality furniture from a company that takes pride in its products and delivers the highest quality to its customer. An all too rare finding nowadays ! I for one will be scouting their beautiful shops for another piece of furniture in the near future. A big thank you." "The furniture has been really great and we really appreciate your after sales service with the issues we've had." "We're looking forward to our bed arriving from you guys soon and will most likely be repeat customers as the furniture is so beautiful and this aftercare is much appreciated.Thanks very much again for an excellent service!" "Having moved house recently, I have dealt with a huge number of retail outlets in order to kit out the new place. The best customer service that I have received has been from you! Thanks so much for keeping me up to speed!" "Thank you very much for our chest of drawers which arrived safely yesterday. After a few problems getting them up the stairs we now have them set up exactly where we wanted them. They look fantastic and go brilliantly with a set of drawers we bought from yourselves back in Feb 09." "You are an ideal salesperson as your passion for quality furniture is so evident, and we really enjoyed talking to you about it. The next time we need some quality wood furniture, I know where we will be." "I would just like to say how pleased we are with the bedroom furniture and will recommend you to our family and friends." "Just to say a huge thank you for looking after me so well. Your carpenter came round yesterday and made an excellent repair of my Chinese chest. It's now as good as new. Many thanks again and best regards,"
"Please could you pass on my thanks to the staff of your Islington branch who sent me spare glass bulbs for the chandelier I bought there recently. Great customer service! Many thanks"
"We are delighted with the new bed and appreciate your help in the matter." "Much thanks, if I had bought this from you on eBay I would give you 5 stars!" "The Customer Service provides is excellent and you are a credit to the Company"
"Lovely drawers (so to speak) and lovely delivery men too! Your company has a good customer service feel about it"
"Thanks again for your time; the service we’ve received has been amazing and it’s that that makes us want to buy more stuff from you :)"
"I just wanted to say how delighted we are with the fabulous furniture we now have from you and especially the custom made dressing table"
"I wanted to say how pleased I have been in my dealings with your company. I visited several times and asked questions endlessly and everyone was very helpful and knowledgeable. I am delighted with the sofa – it arrived two weeks earlier than expected and was delivered promptly, for free, by two most obliging young men. It all made a very good impression"
My chair has just arrived and I love it! I wanted to write a good review of the chair and also the great service provided by Adventures in Furniture from the outset, but couldn't find where to write one online. Please pass on my thanks to all, I will definitely be recommending your store!"